This customer asked us for a custom gate. It was attached to a wood wall on one side, and a stone wall on the other of a different height. If you look in the background, you can see another railing we did just prior to creating this gate. 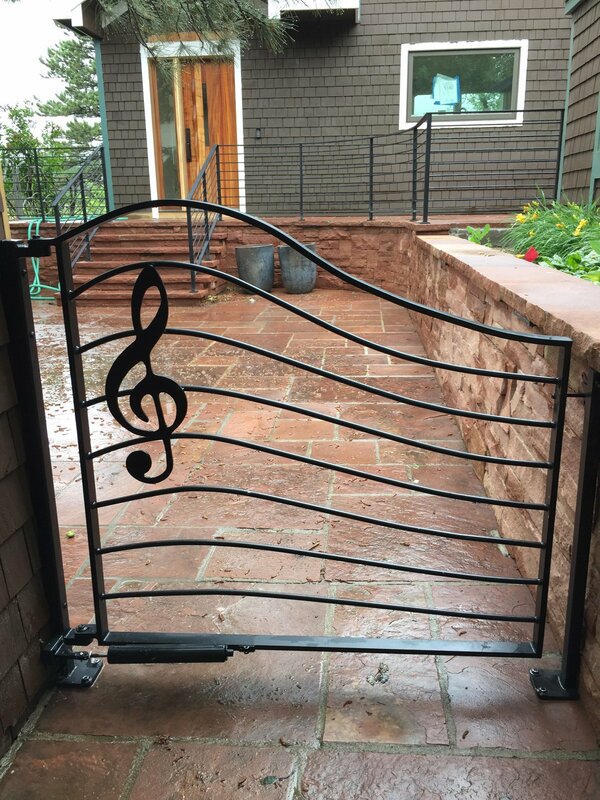 We used the same materials but added the whimsical design for some extra flair, inspired by the customer’s love of music.